I updated this article from March 2018 after seeing the following chart showing the record setting quarter of corporate buybacks. Here is my original article digging under the surface of the bull market to show how the extraction works. A recent study by JP Morgan tells us that only 10% of investors invest based on fundamentals. This partially explains why the US stock market needs to drop 40% to return to average bubble era valuations and drop 70% to return to pre-bubble level valuations. This level of adjustment may seem hard to fathom so we thought we would provide some examples of how we got here. Consider that prior to the financialization of the US economy, the financial sector’s total debt and equity amounted to only 1.5 to 2 the US GDP. Just prior the financial crisis the ratio approached 3.5 times the US GDP. Now the financial sector’s total debt and equity stand at 5 times GDP ! With this in mind, let’s take a second look at one of America’s iconic companies that became our poster child of the financialization of America – GE. It was estimated by Bloomberg that GE has the largest pension fund shortfall on all the SP500 companies at around $30 billion dollars. Since the shortfall is based on assumptions of 7% returns in the stock market going forward, I would argue that they have well over a $40 billion shortfall that badly needs shoring up for the 500,000 pensioners. Of course we live in the age of wealth extraction, so the former CEO of GE did what any self-serving CEO would do. In 2015-2016, he spent $46 billion dollars buying back GE stock at around $32 a share with share holder cash to “enhance shareholder value”. Three years later GE’s stock is sitting appropriately at $10 a share or $140 billion lower in market value. Hmmm… $140 billion loss in market value plus blowing $40 billion in cash on buybacks adds up to an a loss of $180 billion in wealth by my calculations. At $10 a share, GE stocks are now worth only $85 billion on paper [updated price on March 2019]. They still have that $40 billion shortfall in their pension plan and GE would need to issue five times as much new stock at current prices to cover their pension shortfall as they just sold a couple of years ago. Of course, Mr. Immelt, the CEO of GE, had his own separate retirement package of $82 million to compensate him for all that work he did enhancing shareholder value. Since there is absolutely no regulator or champion of employees rights, this practice is quite widespread. The wall street media ignores it and everyone seems to assume those pensions funds are expendable when the next self-made financial crisis hits. There’s more to this example. If GE shored up that pension, that $40 billion would have fallen into the expense column of GE’s income ledger. This would have negatively impacted GE’s earnings on paper. Instead, the shortfall simply remains a liability on their balance sheet. Companies and CEOs get judged by earnings per share. GE simply financially-engineered a better income statement by extracting wealth from their employees via the pension fund. Arne Alsin tells us in The Ugly Truth Behind Stock Buybacks how much Hewlett-Packard’s CEO enhanced their shareholders value with buybacks. Today Hewlett-Packard could buy their entire company twice at current prices with the amount they spent on buybacks over the last decade! And American Airlines two years out of bankruptcy (where they flushed their pension obligations) is facing $19 billion in debt yet still continue to buy back billions in their own stock. Well they “inflate a company’s share price” long enough for the CEO and the smart money to bailout of the stock. Consider the SP500 as a whole. We are approaching 5 trillion dollars in buybacks since 2009. Buybacks did not stop the last market crash and buybacks will not stop the next crash any more than they enhanced GE’s shareholders. That is 5 trillion dollars not spent on underfunded pensions or paying down debt or spent on capital investment to grow their companies and the US economy… which is one of the reasons why this has been the slowest economic recovery in US history. Stated another way, buybacks and below-inflation interest rates allowed the monetarily drunk financial markets to cover up the fact that this economic “recovery” is running at only 1/3 the average economic growth rate prior 2000. How can this be so systematic? Don Quijones tells us our whole system of corporate accountability is driven by four large accounting firms that advise 99% of the SP500 and UK’s largest firms. They advise the CEO and provide the stamp of approval for the books as they did with Carillion one of the UK’s largest construction companies. As Carillion collapses we see how wealth is extracted from the future of the employees. … Carillion’s finance director at the time, Richard Adam, viewed the pension payments as a “waste of money,” as minutes from a meeting between trustees and the regulator in 2013 show. Directors much preferred to pay out “mega dividends” to shareholders, said Frank Field, a veteran Labour MP and head of the the Work and Pensions Select Committees. I bring this up because the media’s narrative of the US economy and markets sounds good. What is not seen is the hollowing out of main street’s future and the makings of a pension crisis after the market resets to normal valuations. There are great companies out there of course. But if you take out the top 25 cash holding companies in the SP500, the other 475 have a debt to cash ratio of 8 to 1. And this is in “good times”. The new debt is cutting in line in front of social obligations at the corporation, state and national level (social security). This new debt is not being used to grow the economy or increase the income producing capability of corporations. It is one massive wealth extraction from our future via debt. And the future is approaching rapidly. The great reset may take a little longer after the recent Republican tax cuts fuels another large round of buybacks. But like GE and Hewlett-Packard, the end game is not about making the economy great again. It is about extracting wealth by the few and leaving debt and unfunded pensions for everyone else. We are the everyone else. The chart below doesn’t tell the debt half of the story we just talked about. It does tell us that something happened in the 1980s and it has only gotten worse. I’ve pointed to previous “tax reform” as part of the issue in past posts. We have a demand-side constraint to growth today, not a supply-side. Giving the largest tax breaks to the top 10% is the exact opposite of what is needed to fix the imbalance or grow the economy. It’s always the retail investors who rush into the markets near the top as the smart money moves to the sideline. The smart money does not follow the media’s narrative about the economy or markets. The economy is not the stock market and the stock market is not about the economy. If it was, the markets would not be sitting at these ridiculous levels. 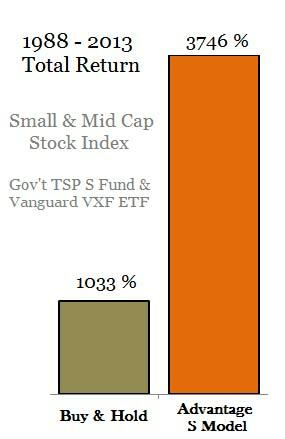 TSP funds are invested in the same stocks as every other fund. Past performance really is not an indication of future performance. Market tops have the best past performance and the worst future performance. Buy & hope or dollar-cost averaging are not strategies. Lifecycle funds are simply diversified buy and hold strategies. Have a strategy for the times we live in, not the past. We live in the age of wealth extraction. Join us and become a smart investor too for an ongoing discussion about indications that do matter.